The Mekama Line was split in the year 2000 into the Meguro Line (Meguro - Musashi-kosugi) and the Tamagawa Line (Tamagwa - Kamata). 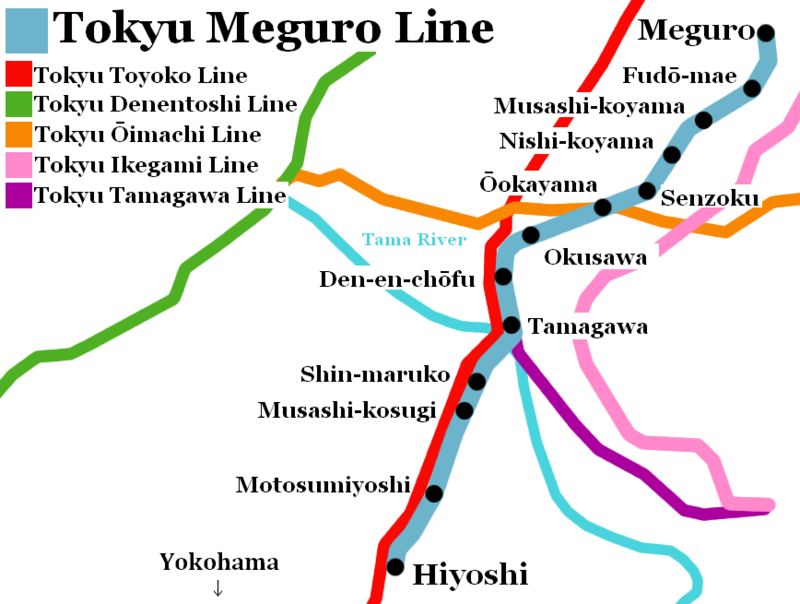 The Meguro Line parallels the Toyoko Line starting from Den-en-chōfu Station all the way to Hiyoshi Station. 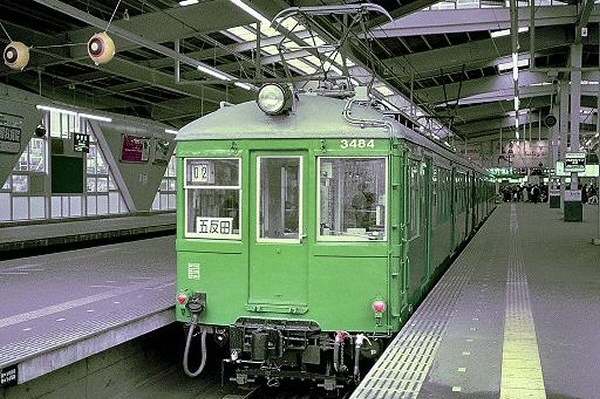 In the same year, the Meguro Line began operating direct service with the Tokyo Rapid Transit Authority (Currently Tokyo Metro) Nanboku Line and the Toei Subway Mita Line. 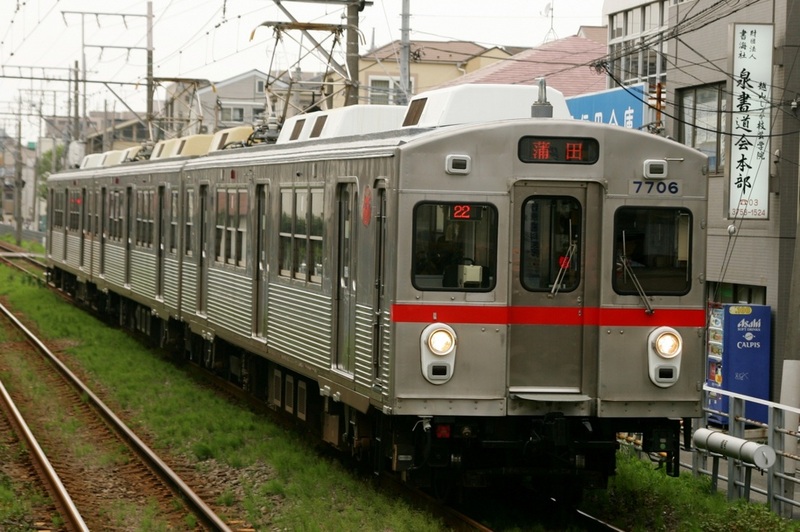 The next year, the Nanboku Line was connnected with the Saitama Rapid Railway Line. 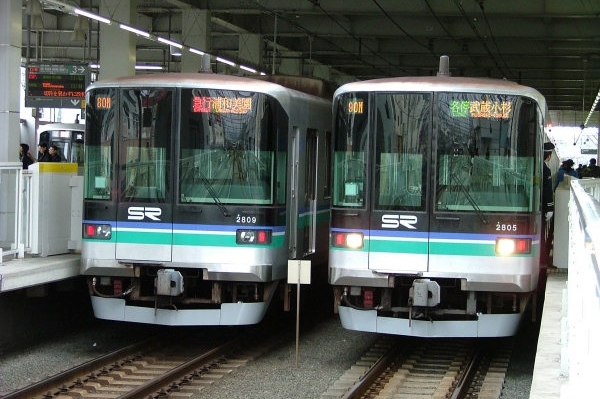 Express service on the Meguro Line in began in 2006 and the number per hour was increased from two to four in 2008 when the line was extended to Hiyoshi Station. 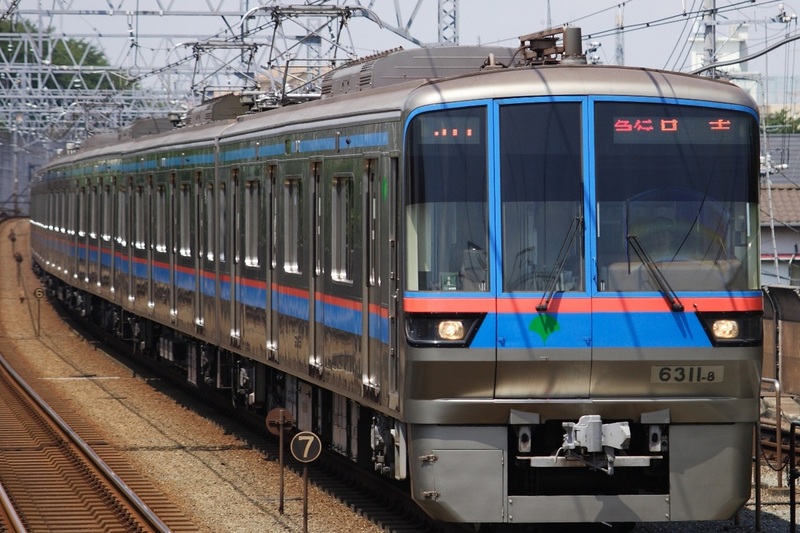 During holiday seasons a special train named the Minatomirai-gō is operated from the Saitama Rapid Railway Line or Mita Line through the Meguro Line all the way to Motomachi-chukagai Station on the Minatomirai Line. Despite being called the Meguro Line, there is only one stop on the line that is located in Meguro Ward. Suprisingly, it is not Meguro Station, but Senzoku Station. Meguro is the first or last stop on the Meguro Line depending on the direction you're going and is also the namesake of the line. Though the station is called Meguro, it is actually located in Shinagawa Ward, not Meguro Ward. 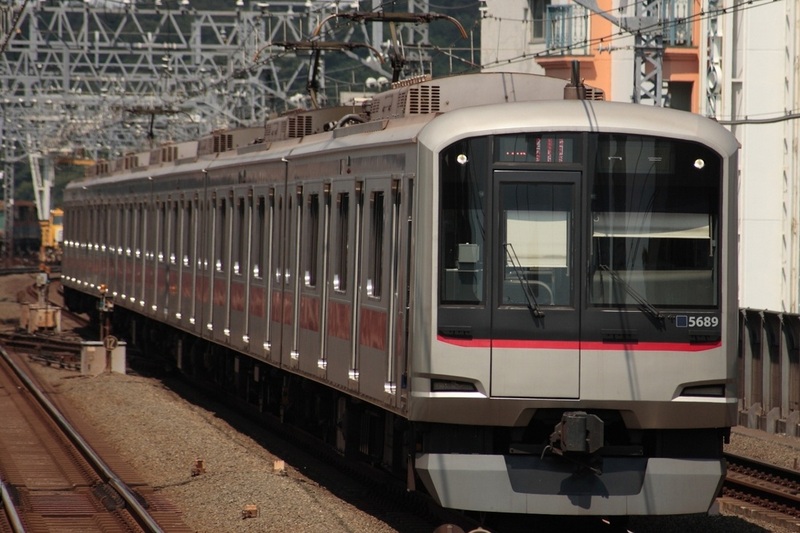 You can transfer to the Tokyo Metro Nanboku line or the Toei Subway Mita Line here but they both share the platform with the Meguro Line so make sure you know which one you want to get on. This station was the terminal for the Meguro Line heading towards Yokohama up until in 2008. Here you can transfer to the Tokyu Toyoko Line which includes the limited express service that does not stop at the new Hiyoshi terminal. Located next door is JR's Musashi-kosugi station where you can transfer to the JR Nanbu Line, Shonan-Shinjuku Line and the Yokosuka Line.